For the third consecutive year, LG’s OLED technology has found itself atop the heap at the annual TV shootout held by Scarsdale, NY-based retailer Value Electronics. LG’s top-of-the-line Signature G6 OLED, represented at the 65-inch size in the model OLED65G6P, was named the “King of TV” for 2016 following two days of presentations and balloting that were part of the CE Week event schedule in New York. Joel Silver, founder and CEO of the Imaging Science Foundation, moderated two full 4 hour sessions and five abbreviated mini sessions that mixed eyes-on evaluations using test patterns and program material with educational content about image quality and the latest UHDTV advancements, such as high dynamic range (HDR) and wide color gamut (WCG). Sony’s best 2016 model, the 75-inch XBR-75X940D, was a strong second by the scoring (see scoresheet below), and took the top spot for Overall Daytime Viewing thanks to excellent image quality combined with bright light output. Like the two other current contenders— Samsung’s 78-inch UN78KS9800 and Vizio’s 65-inch RS65—the Sony is an LCD TV with a full-array, local-dimming backlight capable of significantly higher light output than LG’s OLED technology, though not its deep black levels. Although all the contenders were Ultra HDTVs, a last-generation 1080p Pioneer Kuro plasma was also on display as a reference. All the sets were calibrated for both day and night viewing. Along with Overall Day and Overall Night, voting categories included Black Quality, Perceived Contrast, Color Accuracy, Moving Resolution, Off-Axis Performance, Screen Uniformity, and HDR/WCG performance. Since tools for calibrating UHDTVs for HDR remain scarce, all the sets were used in their default HDR modes for evaluating that type of content. Three of the four sets are compatible with HDR10 format HDR material, presented via the Ultra HD Blu-ray disc for Kingsman: The Secret Service delivered by a Samsung UHD-BD player. The Vizio, which only recognizes Dolby Vision-encoded HDR content, was fed live streaming content from Netflix’s Marco Polo series. As a reporter/television reviewer in attendence at the shootout for three of the last four years, I was taken this year with both the overall quality of the sets, which I saw as a good leap up from last year, and the general closeness of their performance. Most obvious was the LG’s perceived contrast and black quality in night mode with the lights dimmed, where it held a discernible advantage. Color accuracy differences were mostly negligible to my eye, though the Vizio, despite calibration, did seem to have a slightly more pale color profile than the others. Screen uniformity was perfect for the self-emissive LG OLED, of course, but the Samsung’s, Vizio’s, and especially the Sony’s backlight were exceptionally smooth looking when viewed with full frame white or red test patterns. Likewise, the LG OLED exhibited the expected perfect off-axis viewing window, but the Sony’s window went surprisingly wide before exhibiting any drop in contrast. The Vizio and the Samsung—the latter featuring the only curved panel among the group—had what I’d call the conventional and ultimately narrow viewing window common to most LCD displays. Not surprisingly, none of the sets, save the old plasma, performed particularly well with moving-image torture clips in the absence of their frame interpolation circuits being flipped on. The HDR/WCG tests were most certainly eye-opening. HDR/WCG images off the Ultra HD Blu-ray were simply jaw dropping in their contrast and color saturation/range. For the most part, I thought the LG, Samsung, and Sony looked very nearly the same on the Kingsman test clips, and neither the LCD sets’ greater light output capabilities nor the OLEDs deeper blacks gave any set a particularly discernable advantage. The Vizio, fed by a good quality but clearly less bandwidth-rich streaming signal, still looked unusually striking on the Dolby Vision Marco Polo HDR content, but didn’t enjoy quite the same impact; in any event, it was impossible to do any kind of direct comparison. The participating televisions were selected because they represent the current top-of-the-line from each brand, but do vary somewhat in price. The LG lists for $8000, though the company’s recently released 65-inch E6 series OLED ($6,000) is said to combine the same display and picture engine with more pedestrian industrial design. Sony’s 75-inch XBR-75X940D, the smallest size for this model, is priced at $6,000 but brings 10 additional diagonal inches of screen. Samsung’s 78-inch FS9800 goes for $10,000, though a presumably similar-performing 65-inch version is available for $4,500. Special thanks to Value Electronics’s Robert Zohn for sponsoring and producing this 12th annual TV shootout, the only event that brings together the industry’s leading consumer displays in one place and seeks to set an even playing field for comparision. Visit valueelectronics.com to check for specials on some of the TV models appearing in this year’s shootout. Home security camera maker Remocam showed off its new video doorbell at CE Week in New York City earlier this week. The $199 RemoBell smart video doorbell boasts several features not found in competing products from the likes of market leader Ring, but it won’t be available until later this summer. The RemoBell’s most interesting feature is its heat-sensing motion detector. In the absence of body heat, motion—be it bushes moving in the breeze or an insect flying in front of the camera—won’t trigger an alert, so Remocam promises its camera will produce fewer false alarms than competing products. Infrared LEDs enable the camera to see in the dark. The camera itself uses a true wide-angle lens, versus the more common fisheye, to provide broad coverage of your porch without image distortion. A company spokesperson at the show said the camera had a 120-degree field of view from right to left, and a 90-degree field of view from top to bottom. The view is good enough that you can see not only the delivery person at your door, but the package left on your porch after the visit. Remocam is developing Android and iOS companion apps for the RemoBell, and up to five users per account will be able to receive push notifications when the bell us rung or motion is detected. An optional subscription plan will be available for storing video clips in the cloud. This will cost $2.99 per month or $29 if paid in advance for a full year. Curiously, the company currently has no plans to enable users to incorporate its video doorbell into broader smart-home systems. Why this matters: The video doorbell market is getting crowded quickly, with entries from Ring,August, Yale, and—if you’re looking for a comprehensive smart-home system—Vivint to name just a few of the competitors vying for attention. As the mercury rises, and we think of nothing else but when our next iced coffee will appear, our thoughts inevitably drift to what we’re going to buy the family for the holidays this year. So, ever on the hunt for the latest, flashiest, zipped-in connected gear, we present the following items you can grab now, or certainly by the holidays, for a favorite someone or, get real, yourself. 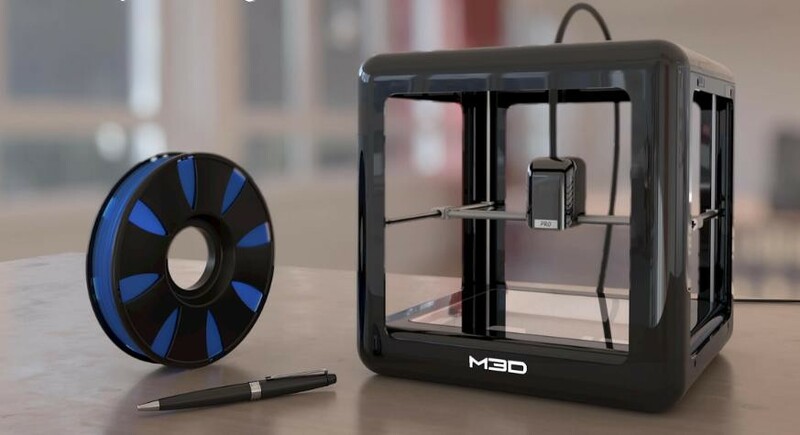 M3D launched its $349 3D printer Micro on Kickstarter two years ago, raising $2.3 million. (A solid effort.) In just five hours you could produce s plastic toy you made yourself. Now the company is back with Pro, which stomps that time down to just two hours. Pre-orders are expected to start at just $500. Yes, that’s spendy. But really how much is gift-giving envy worth? M3D expects to potentially launch first on Kickstarter in August. Stayed tuned to its site for more details. The name alone makes this camera a winner. 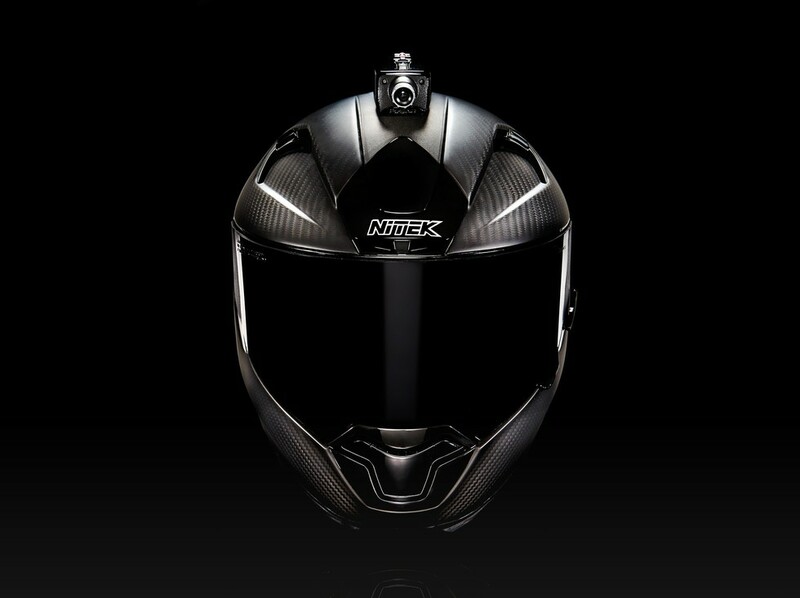 Mohawk straps to the top of your helmet constantly recording and, here’s the magic, sending a text or email to someone if you crash. At $550 Mohawk is certainly a pricey gift. But if you have a teen or tween, think of the peace of mind Mohawk may bring. Plus you get a handlebar add-on that controls the camera and will have push to talk abilities. The company raised more than $273,000 on Indiegogo at the end of last year, and is getting ready to start selling the full system this September. Oura is a sleep tracker you’ll want just because of the way the ring looks. We know wearables are a tricky gift—will they actually wear a watch? Or even a ring? This one? They will. This iOS and Android is focused mostly on sleep monitoring, but here’s the cool part: you get a reading score, everyday. Moved like a slug yesterday and binged watched “Silicon Valley?” Expect a poor score. Did you CrossFit and got a full eight hours? You’re rocked and ready to go. Yes, this is a wired ring for $299. But we got a code for free shipping (ourace2016). So buy the pretty ring, and feel good. Lenovo scores again with the Lenovo Phab 2 Pro, a phablet that’s the first to showcase Google’s Project Tango technology and wil be the only handheld with Tango for six months after Phab 2 ships in September. At $500, you may ask why is this the splashy gift I should buy. 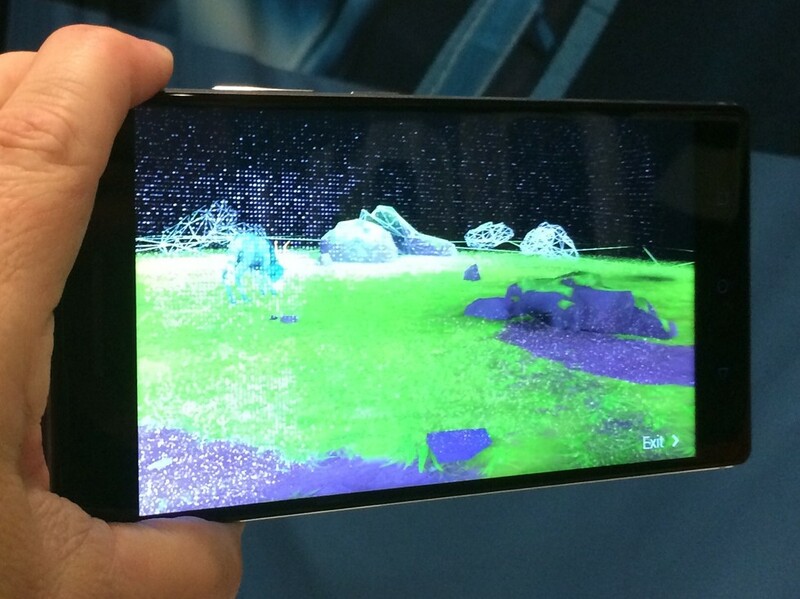 How about motion and depth sensors with a 16 megapixel rear camera. Plus there’s the augmented reality apps launching with Phab 2 from a Lowes app that will let you create the kitchen of your dreams before the contractor starts smashing down walls, and gaming apps include Dinos Among Us, where you can place dinosaurs into your room. Deliver this for the holidays, and guarantee a smile (and possibly more) delivered to you. Besides winning CE Week’s Best In Show, Kodak’s Pix Pro SP360 4K Action Cam is a camera setup that makes 360-degree filming possible for a smaller price. A single camera is just $499, with two—plus all accessories coming at at $899. Yes, even Kodak admits its going first after the business user: travel companies, sports teams and even those in the security market. But how about YouTubers? We bet you know someone who has a YouTube channel (you do, trust us) or maybe you’d like one yourself. Either way, the newly released device is likely going to be a winner this holiday season. 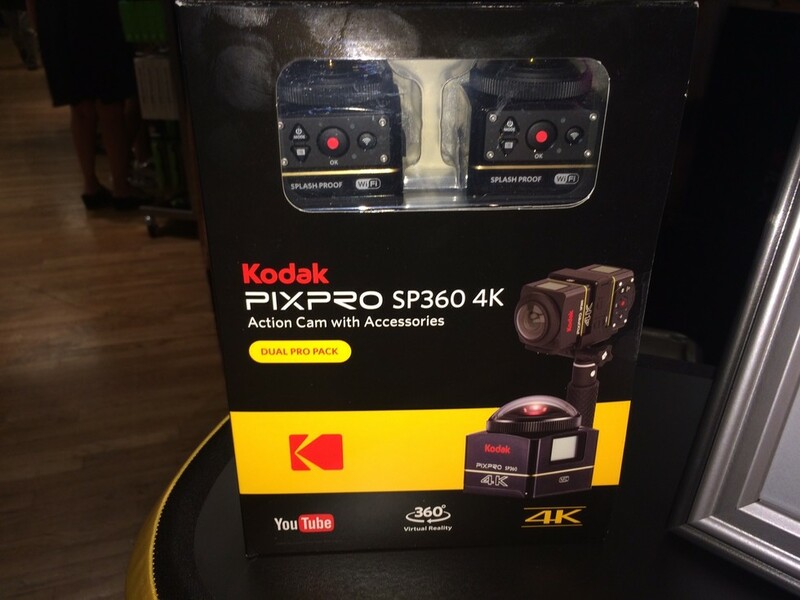 Kodak PixPro is a complete 360-degree filming set-up. Truly merging technology and the real world is usually in the realm of augmented reality (AR), but once in a great while something comes along that takes something entrenched in the online world and drags it into the physical. ROXs does exactly that – called a “real-life gaming console” the system uses digital gaming concepts and high-tech hardware to get kids out from in front of their screens and into the real world to move their bodies. The ROXs system features wireless high-tech sound and light devices (“ROXs”), the real life version of the blinking icons that entrance online have the power to make kids scramble while hunting for higher scores. These devices are placed on the ground, attached to items in the environment (trees, fences, whatever) or even worn by players using the included belts. Each ROXs set is pre-programmed with more than ten games and can be updated with new downloaded games as they become available. Of course, users can create their own rules and the pace of the game can be set according to the player’s skills. Other products built on the ROXs concept are planned to be arriving on the market in 2017. These separate systems will have the ability to connect to each other wirelessly and form a larger, more complex, gaming experience. A-Champs, the start-up behind ROXs, launched a crowd-funding campaign on Indiegogo and achieved full funding in less than eight hours. Pre-orders from the campaign are on-schedule for delivery in September and consumer units are expected to be available in October. What’s in the ROXs BOX? The finalized consumer version of ROXs was presented for the first time at CE Week in New York City this week and the team from A-Champs has a very special, very limited time offer for readers of the Architechnologist and GeekDad:completing the entry below will enter you into a drawing for one (1) ROXs BOX (just like the one in the “Featured Perk” of the Indiegogo campaign). This set includes a controller, 3 x ROXs, 3 x straps & holsters and 10 pre-programmed games. Entries for the drawing must be received before 12:01am EDT on July 2, 2016 – the prize will come directly from A-Champs and can ship worldwide (please remember, the prize will come from an early consumer shipment of ROXs and will not arrive until the middle of October 2016). The drawing for the ROXs Box will occur on July 2nd and the winner will be notified by email. At a CE Week demo, these 3.0-inch thick speakers you can hang on a wall with two-sided tape rivaled competitors several times larger. There’s no shortage of small speakers on the market, but what makes KISS AV’s system compelling is their profile: These speakers are thin enough that they can be mounted on the wall on either side of your flat-screen TV. What’s more, they’re light enough—just two pounds each—to not need screws to hang on the wall; all you need is a few 3M Command strips. KISS AV founder Jim Murray told me his brand’s acronym stands for Keeping It Super Simple when he demoed the speaker system for me at the CE Week show in New York City earlier this week. Murray is raising cash on Kickstarter to bring the speakers to market. About the size of a large hardcover book and just three inches thick, the secret behind these speakers is the airflow design. 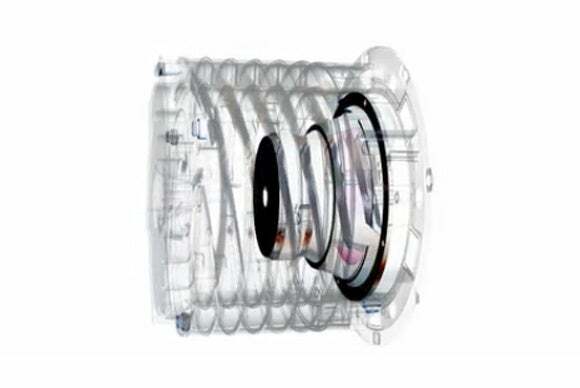 It’s a patented system called Sonic Vortex that was originally intended for use in high-end luxury speaker systems to deliver more bass and better sound clarity. To deliver performance similar to a large speaker cabinet in a small form factor, Murray designed a port that spirals around a sealed enclosure inside a relatively shallow cabinet. Fins inside this spiral port guide and accelerate the air until it emerges from multiple small openings circling the active driver. KISS AV’s Sonic Vortex features a spiral port design that delivers the same performance as the conventional bass port in a much larger enclosure. The speaker hosting the amplifier has Toslink and coax digital audio inputs, stereo RCA inputs, and a connector for the other speaker. The speaker also has a Bluetooth radio for wireless music streaming. The KISS AV system is compatible with many TV remotes, meaning it will see and know when your TV is being turned on and off, and will also turn off the speakers. The basic system includes just the two speakers for $199; a $399 pledge will add a wireless subwoofer. Murray expects to deliver the speakers in October. From what I heard at the demo, you’ll want the sub: while the speakers produce great sound (and from a surprisingly wide angle and distance given their size), the subwoofer really adds to wow factor, even in a booth on a noisy show floor. Why this matters: The conventional approach to achieving great sound in a home theater can not only cost a lot of money, it can also be difficult to strike just the right balance. Murray’s KISS concept looks and sounds extremely promising, but he’ll have to navigate the pitfalls of crowdfunding before he can deliver. Reviewers and industry wonks opine all the time about the “best” product in a category, but what happens when you pack them all in a room and force them to hash it out? We just found out. A jury composed of professional TV reviewers, certified calibrators, and video enthusiasts convened over the past two days in New York City to crown a “King of TV” for 2016. When the ballots were counted, LG’s Signature G6 OLED TV won in a landslide. This marks the third year in a row that LG’s OLED took the title. Competing with the 65-inch LG G6 (OLED65G6P) were the 75-inch Sony X940D (XBR75X940D), 78-inch Samsung KS9800 (UN78KS9800), and the 65-inch Vizio Reference Series (RS65-B2). Serving as keynote speaker and master of ceremonies was Joel Silver, President and Founder of the Imaging Science Foundation (ISF). He spoke in depth about emerging High Dynamic Range (HDR) and Wide Color Gamut (WCG) as well as measurement techniques and standards. Lie Neikirk of Reviewed.com and Caleb Denison (yours truly) from Digital Trends both appeared as guest speakers, and chose not to cast votes. Over the course of multiple four-hour sessions, roughly 80 total participants pored over test patterns, movie clips and measurements, rated the televisions on a scale of 1 to 10 for black quality, perceived contrast, color accuracy, moving resolution, off-axis performance, screen uniformity, HDR/WCG, and overall day and night performance. While each display had its own strengths and weaknesses, once numbers were added up, the G6 OLED came in with the highest overall score, averaging a commanding 8.9 on a 10-point scale. Sony came in at second place with an 8.0 average, Samsung third at 7.3, and Vizio fourth at 6.9. Looking at the summed scores, we see LG was the only TV to score in the 9-point range, with a total of six 9-point scores out of nine categories. To provide perspective, Robert Zohn, owner of Value Electronics in Scarsdale, NY, and a presenter and organizer of the shootout, brought his own late-model Pioneer Kuro, once regarded as the gold standard in television, for comparison. When the playing field was leveled to the Kuro’s level — 1080p HD resolution and Rec. 709 color space — the Kuro held up fairly well. However, once the televisions moved to producing DCI/P3 color and High Dynamic Range within the Ultra HD standard, the revered Kuro surely showed its age. In past years, some critics have argued that 4K resolution on its own doesn’t present a meaningful upgrade over 1080P. This year, attendees debated the merits of HDR and WCG, and whether they represented a quantum leap forward in television performance. The general consensus seemed to be that picture quality improvements brought about by HDR and WCG are plainly obvious and quite significant. Today’s top-tier TVs are the best we’ve ever seen. As Lee Neikirk pointed out during his presentation at the event, not all HDR televisions are created equal. While all of the flagship televisions evaluated during the shootout are at the pinnacle of HDR/WCG performance, many mid-tier TVs are not powerful enough to bring about meaningful improvements, potentially damaging the public’s perception of these new display technologies. Many participants agreed that something beyond the UHD Alliance’s present “UHD Premium” certification may be needed to ensure the importance of HDR/WCG as components of Ultra HD aren’t diluted. Sony won the only category not dominated by LG at the shootout, ranking as the best TV for daytime viewing. Other considerations such as ease of use, smart TV platform, remote control operability, and other usability aspects may factor into future competitions. While there can be only one winner, it was clear all the participants made a very strong showing. And if there were ever any doubt, the Kuro comparison silenced it: Today’s top-tier TVs are the best we’ve ever seen. Pioneer has been releasing home theater and audio gear at a fairly steady clip throughout 2016, and this week at CE Week, it’s taking time to show off everything it has released so far. Just because the company is showing products that it has already introduced, that doesn’t mean that it isn’t introducing a few new products as well. On Wednesday, the company introduced its new Elite SC-LX501 7.1-channel network A/V receiver. Like other models in the Elite line of receivers, this model supports 4K Ultra HD and HDR 24-bit video with 4:4:4 color, along with all the requisite modern technologies like HDMI 2.0a, HDCP 2.2, and BT.2020. The “Super Resolution” technology developed for Pioneer’s Elite BDP-88FD Blu-ray player is included here, allowing standard HD content to be upscaled to 4K resolution, on the off chance your TV doesn’t offer built-in upscaling. Nearly 1.2 billion people in the world lack access to reliable electricity and one startup presented devices at CE Week that harness the cheapest energy of all – human movement. Uncharted Play has combined physical activity and technology in order to power a lamp for three hours with just 30 minutes of activity. The SOCCKET ball and PULSE jump rope are designed with built-in mechanism that capture kinetic energy and transforms it into an electrical charge — and DailyMail.com had an exclusive look at the New York event. Uncharted Play joined the technology conference, which showcases the latest trends in the industry, alongside other emerging technologies from around the country. And the firm is said to be a game changing device in the industry by both attendees and event planners. ‘You can buy the SOCCKET and PULSE online,’ Nadeem Mustafa, Impact Development Manager at Uncharted Play, told DailyMail.com. Jessica O. Matthews, the brains behind these energy saving devices, was inspired while visiting Nigeria when she noticed the electricity would go out multiple times during the day — which is why Uncharted Play is so focused on bringing their devices to children who do not have access to electricity. CES and MWC are distant memories, and while the big mobile-tech-expo fun of IFA 2016 is just a couple more months away, these early days of summer aren’t quite the wasteland you might think they are when it comes to learning about a whole lot of new devices, all at once. This week, New York City welcomed the latest iteration of CE Week, an annual gathering of hardware manufacturers, service providers, and pretty much everyone else who’s got a hand in technology. We stopped by CE Week to check out the latest ShowStoppers event, where the companies behind the products we crave gathered to demonstrate some of their newest gear. The lineup included all manner of devices, from wearable and handsets, to more mobile accessories than you could count. Now we’re bringing you a look at exactly what we got to see. 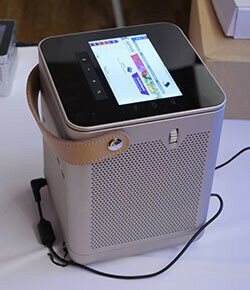 We’ve already told you about some of the products we ran into at CE Week, like theAlexa Voice Services-powered Triby smart speaker, Photive’s whole range of Bluetooth speakers, headphones, and earbuds, the , the innovative HandL phone case, andSanDisk’s iXpand Memory Case, which allows iPhone users to easily give their handsets a little extra storage capacity. That’s a lot of hardware right there, but we’re only scratching the surface. Beyond those devices we also got to check out wearables from Richline Jewelry and Oura. Richline was soft-launching a variety of fashion-first wearables, including a number of notification bracelets; these use multi-color LEDs and vibration alerts to clue you in to exactly who’s trying to reach you. 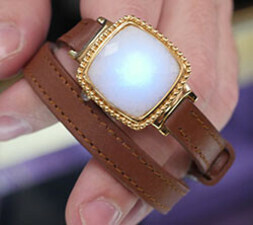 The company even managed to embed NFC tags in tiny pearl necklaces, which couples can use to send messages to each other. 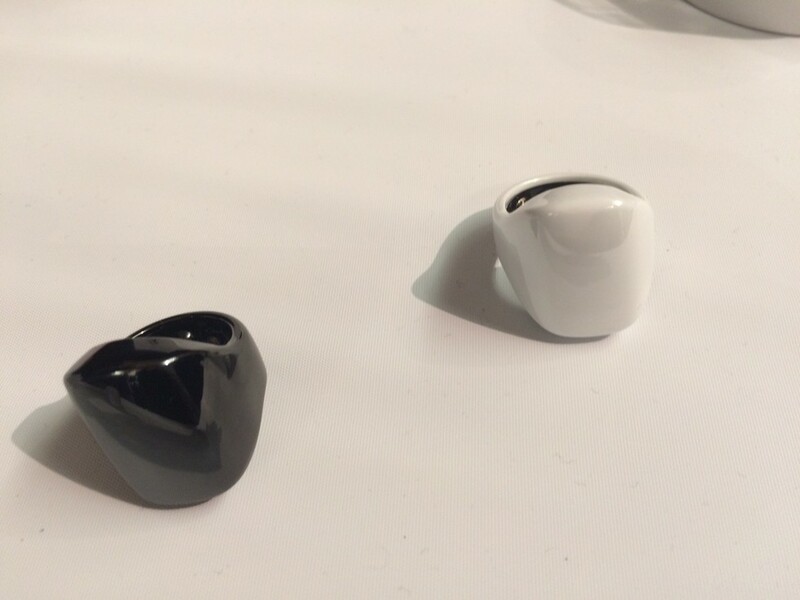 Oura, meanwhile, was showing off its smart ring, a wearable that analyzes your behavior day and night to help reduce stress and improve your quality of sleep. The Zus car charger isn’t just for helping you keep your phone’s battery topped-off during your commute (though it’s more than happy to help with that), and it’s big hook is its ability to help guide you back to where you parked. With the help of its Bluetooth connection and your phone’s GPS radio, Zus can automatically store your car’s location in your phone’s memory whenever you park. Speaking of cars, plenty of us love to keep our phone conveniently mounted on the dash for help with navigation, and Caseco was showing off its super-small, extra-strong magnetic car mounts. There’s both an adhesive surface-mount version as well as one that connects to an available air vent, either of which then holds your phone in place with the help of a metal disk you stick to your phone’s back. Coming soon are cases that have that disk integrated right in. Maybe one day all phones will have snap on projectors like the Moto Z, but for now, Aiptek has a number of external and still incredibly portable models. We looked at two that feature either a Windows 10 or Android removable tablet that stacks on top of a projector/speaker base. That way, you can share your documents or a movie with a whole room, while taking the tablet bit with you on the go. We’ve looked at plenty of portable 360-degree spherical cameras, but the ALLie camera does things a little differently, requiring a wall outlet for power. That restriction aside, it looks plenty powerful, with a Snapdragon 800 processor within, infrared capabilities, cloud connectivity, and support for live streaming to YouTube. But like we said: this isn’t all wearables and accessories. Hardware manufacturers showed up with some of their latest laptops, 2-in-1s, tablets, and yes: even smartphones. Lenovo gave us a demonstration of its recently launched Phab 2 Pro, the first commercial device powered by Google’s Tango technology. The handset uses its powerful array of sensor to scan the area around it, construct a 3D representation of that space, and understand its position within; armed with that data, Tango opens that door for some impressive augmented reality apps. Demos included some virtual redecorating software, using the Phab 2 Pro to preview what new floors, furniture, or appliances might look like in an existing space, as well as quite a few games. Lenovo’s hoping to see 30-some apps ready to take advantage of the phablet’s Tango tech by the time the handset hits retail this September.